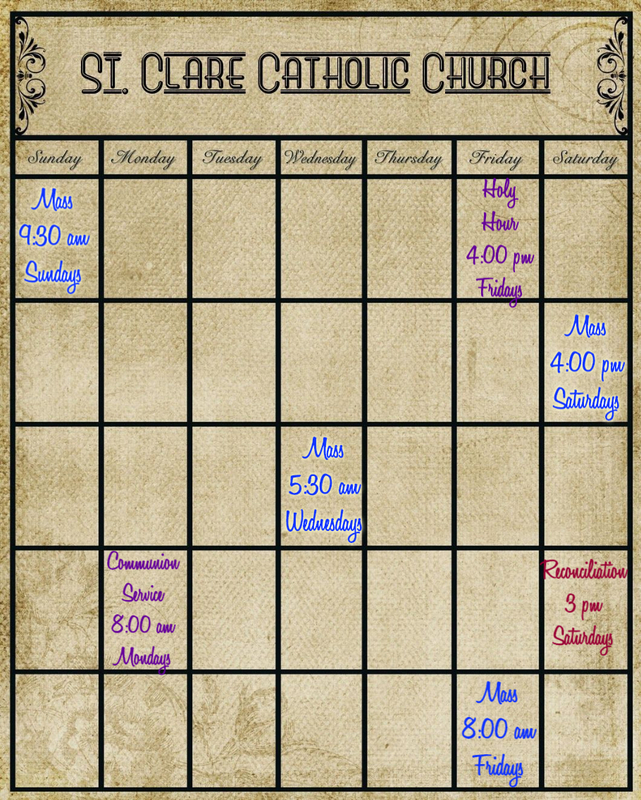 Here is our Mass Schedule at a glance. View the Parish calendar for all of the happenings at St. Clare. Select a sub category for a more specific view.